Raghav Agencies offers complete, customized solutions for all of your business storage needs. We strive to work seamlessly with our customers as if we were an in-house department. Raghav Agencies began providing transportation solutions to Transport’s contract warehousing customers in the 1990s and expanded over time to include dedicated transportation carriage and freight brokerage. Raghav Agencies offers a host of logistic management services and supply chain solutions. We provide innovative solutions with the best people, processes, and technology to drive uncommon value for your company. Raghav Agencies Pvt Ltd is well established and leading C&F agents in New Delhi, India providing logistics to reputed brands like Cross Pens, Play-n-Pets and Funskool. Raghav Agencies commenced operations in 1999 and is headed by Mr.Ratnesh K Chhabra who has more than two decades of professional experience in C&F industry. 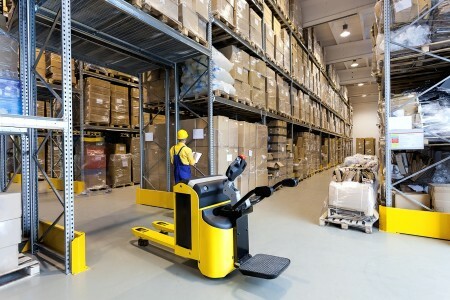 Separate Warehousing for each client as per their requirements. Process orders from our clients and ship them to their channel partners and end customers. Well defined MIS systems and periodic reporting. Comprehensive IT setup to take care of invoicing and documentation on behalf of our clients. Provide efficient and trained manpower exclusively for each client for dedicated customer service. We have been a reliable C&F agent for Funskool and Play-n-Pets since 1999 and have been handling C&F of their entire range of products using our warehousing facilities at strategic locations in Delhi and NCR. Raghav Agencies offers a host of logistic management services and supply chain solutions. We provide innovative solutions with the best people, processes, and technology. © Copyrights 2015, Raghav Agencies Pvt. Ltd. All rights reserved.